Blepharoplasty Revision is difficult and meticulous surgical procedure to revise upper eyelids to be satisfied. Firstly, the doctor evaluates the problem and designs the operation to resolve it. The revision is that the doctor will excise the old lesions, and design the new one to be better. - Too small eye creases, excess skin that probably causes from bad design. Thus, the doctor needs to remove excess skin, and create the new eye creases suitable for the patient’s eye shape. - Upper blepharoplasty with no stitch or short lesion(short sewing) by no excess skin removal that makes eye skin remains on upper Blepharoplasty and bulging eye. We can resolve it with old knot removal and create the new eye creases suitable for the eye shape. - The old upper blepharoplasty case makes the eye creases are too high and too dodged. We can resolve it with making the eye creases lower and smaller. In some case, need to increase fat into the eye creases. 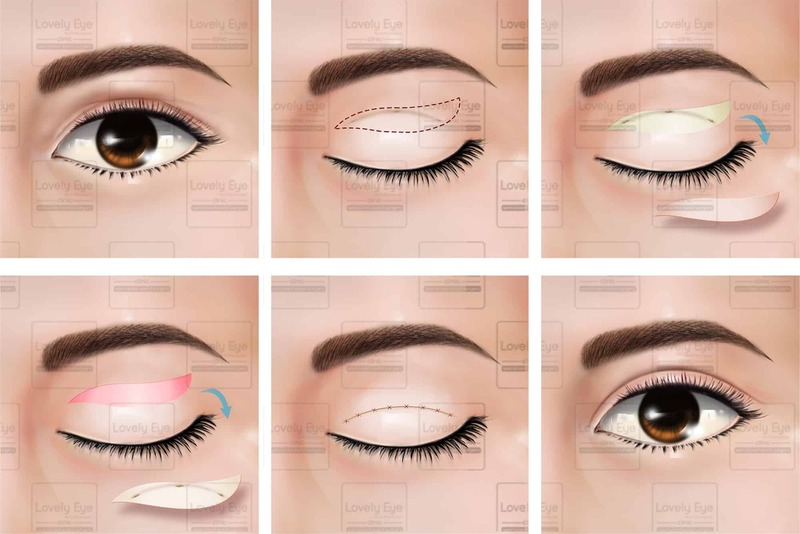 -The upper blepharoplasty with stitch makes the patient irritated, unnatural eye creases causing from bad lesion sewing and not being specialized in eye structure. - The old upper blepharoplasty surgery is still dropping that probably causes from excess skin from much lateral eyelid skin. We can solve with excess skin removal or lateral eye lifting surgery with no wound. In some case, we might use botox and laser to tighten sub-brow. - The patient used to undergo upper blepharoplasty and injected fat causing the remaining fat. This case is so difficult to remove it because fat is too thick and sticky. * Any problems that patient has can consult with eye surgeon and plan for the care and operation.